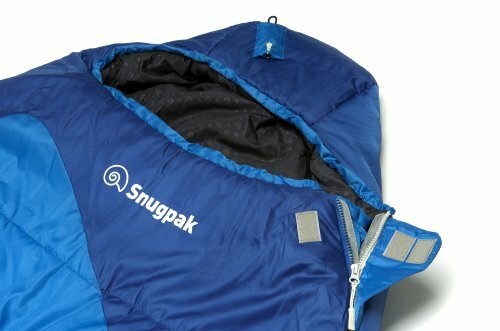 Today I wanted to take a closer look at a very functional sleeping bag I bought a while back, the Snugpak Chrysalis 3. I have used it out in the field numerous times now so thought a review might be useful if you're thinking of purchasing it. 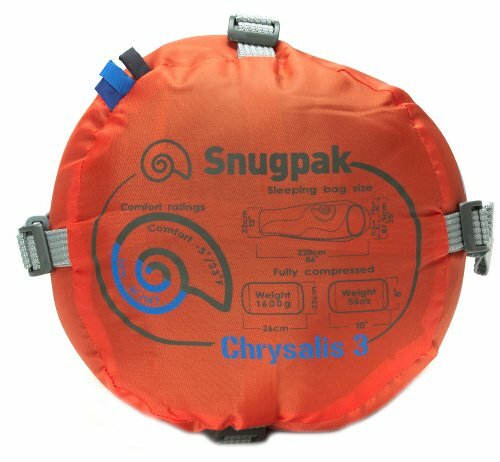 The Snugpak Chrysalis 3 Sleeping Bag is a basic but very functional sleeping bag, perfect for short backpacking trips. It comes with an excellent price tag which definitely won't break the bank! Short backpacking trips, general use for camping, etc. As mentioned, a while back I was in the market for a new sleeping bag. My main priorities were function, comfort, size and price. I do backpack, but mainly over the summer. However, I needed my bag to be able to handle cooler temperatures for a mountain leader assessment I was doing in late October, so it needed to be able to cope comfortably with 23 degree F (-5C). I wasn’t expecting to be sleeping out in those specific temperatures, but definitely in and around 30 degrees (-1C). As mentioned, I wanted function and comfort first and foremost. I also had pack-ability high on my list. That is, I needed a bag that would provide said function and comfort, but without it being too bulky, heavy and awkward to carry into the hills in my pack. To top all that off, in terms of requirements, I didn’t want to break the bank. There are any number of super sleek and lightweight bags available out there, designed for use in very specific conditions e.g. very cold temperatures. However, that kind of functional capability comes at a cost and you can easily move into the realm of hundreds of dollars very quickly. So, after some searching, with these requirements in mind, I came across the Snugpak Chrysalis 3 sleeping bag. It had reasonably good user experience reviews and on first view, looked to tick all of my boxes above. So, with that in mind, I bought it and have been using it for a while now. Let's take a closer look at it based on the category specific needs I had. Obviously top of the list, I needed a bag that would be functional and do what it says it will. As already mentioned, I needed it to have a decent comfort rating, being able to comfortable handle 30 degrees (-1C).. The Snugpak Chrysalis 3 has a comfort rating of 23 degrees F (-5C) / low 14 degrees (-10C), so it definitely met my needs. I approach this requirement in a basic way. If I need 30 degrees F (-1C) I will aim for a comfort rating, comfortably below that, so in this case I need 30 degrees F (-1C), I aimed for 23 degrees F (-5C), giving a decent cushion should I get caught out. Note, I am referring to the comfort rating here, not the ‘low (aka ‘extreme’) rating. The low or extreme rating is meant to be the absolute maximum you can use the bag in, but I never operate from it. If you want to learn more about comfort, extreme ratings, etc. check out this post on the basic process of choosing a sleeping bag. The next thing, in terms of function, which was important to me was size and packability. The listed weight is 1,600 grams / 56 oz. It does weigh in and around this. This range is not ideal to be honest, could do with being lower, but it worked well with my other gear when packed into my pack, falling below my overall max target weight for my bag. The bag comes in a compaction sack, as shown in my one above, which is big enough. However, this works out fine when packing for a trip, as I utilize the grey tighten straps on the compaction sack, all around the sleeping bag pack to pull it down to as small a size as possible. This means it comes in and around a packsize of 21x21cm, when fully compressed. That is compact enough for me and falls comfortable within my capacity target for my pack. In terms of size, it’s a one size fits all approach, so it should be good for most folks, as the bag extends out to 220 cms. I’m 6 feet tall, and it works great for me. The bag itself is a mummy bag, my personal preference for backpacking, so it is tapered at the bottom to minimize the space it needs. It’s shoulder width runs to 75 cms (87.5 cms with expander panel) and foot width runs to 32 cms. The quilted top of the bag is tailored, pleated, and fitted with a drawcord so it pulls into shape, rather like a jacket hood. The bag is closed up with a zip, as shown in the image below, which is on the left hand side. It works well for me to date and I’ve had no issues with it. In terms of material make-up, the outer fabric is Paratex Micro which is tough, lightweight, windproof and water repellent. Paratex Micro utilizes closely constructed fabric and is exceptionally hard wearing but still remains soft to the touch. The inner fabric is Paratex Light which is also lightweight, windproof, water repellent fabric which is also breathable and able to wick moisture away from source. In my experience of it, it’s soft on the skin and pleasant to touch. The filling is Softie and Reflectatherm, Reflectatherm, and this metallized fabric is designed to retain heat and warmth. It's also a highly breathable material, which adds little to the weight or pack size. Softie, is the Snugpak brand name for their exclusive synthetic (Polyester) filling. It utilizes superfine yarns bound with special resins to produce a luxurious down like feel. It is created from staple yarns which mirror the compositions of natural insulation. In practice, I have found them effective, and I have felt very snug and warm when using the bag. The bag also comes with a built in LED torch. This is a nice idea but not something I needed as I typically use my own headlamp. So, just from force of habit of using my headlamp, I haven’t ever used it in the field as such. It seems to work fine though. 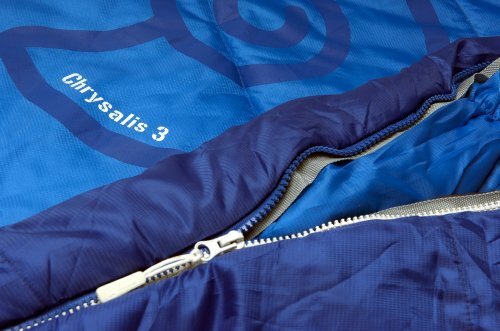 Overall, the Snugpak Chrysalis 3 is perfect for short backpacking or camping trips. It will fit in a backpack and so it's easy to carry into the hills. Aside from that, it's a perfect extra sleeping cover for someone around the house, should you have an extra guest that needs to make use of your couch for example! 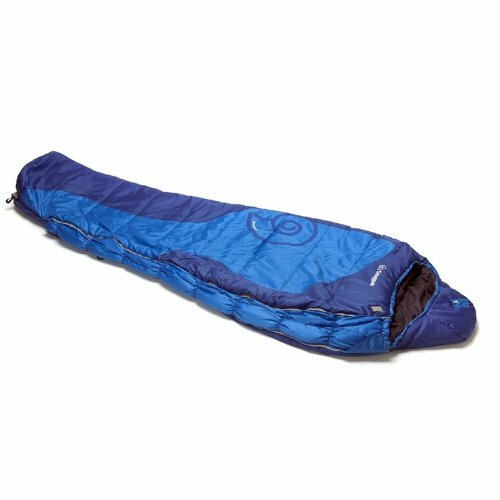 Based on various user reviews, as of the publishing date of this review, the Snugpak Chrysalis 3 Sleeping Bag averaged 4 stars out of 5 across various retailers, by my calculations. Great scoring, and the user reviews I read referenced the same plus points that I found, including value for money. If you’re planning to head off on a 6 week exhibition through the Amazon, the Snugpak Chrysalis 3 Sleeping Bag is probably not going to do the trick 🙂 However, if like me, you like a bit of backpacking across the year, mainly Spring to Autumn, in temperate climates, then the Snugpak Chrysalis 3 could be just the ticket. It’s a basic but functional sleeping bag that won’t break the bank. It’s sturdy enough so you should get plenty of use out of it, so for $65.00, it’s hard to see how you can go wrong. 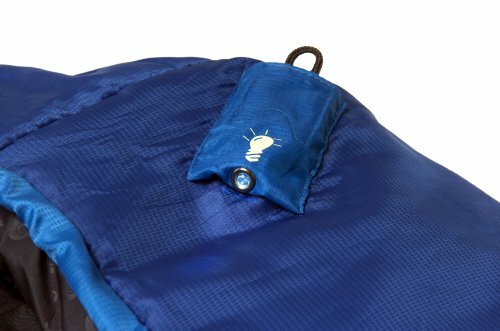 An excellent and functional sleeping bag, that in my opinion offers great value for money. If you’re completely new to buying a sleeping bag, remember to check out the article on how to select a sleeping bag. I hope you found this review of the Snugpak Chrysalis 3 Sleeping Bag useful, if you did, please like, share and comment!